The current Serbian privatisation framework was established in August 2014 through the adoption of a new privatisation law (“Privatisation Law”) and subsequent introduction of all relevant secondary legislation. Although the phase of the mandatory privatisation of the so-called socially-owned companies (which comprised a special feature of the pre-privatisation system in Serbia) was finalised on 31 December 2015, a number of state-owned companies have yet to undergo privatisation. There is no deadline by which state-owned companies must be privatised and it is completely up to the relevant stakeholders – the Government of the Republic of Serbia and Serbian Ministry of Economy – to decide on the course of the potential privatisation of these companies. From publicly available information it appears that in the near future a new set of privatisation procedures will be launched for companies active in Serbian river ports and the petrochemical, agribusiness, and mining sectors. – strategic partnerships by way of a public collection of bids. 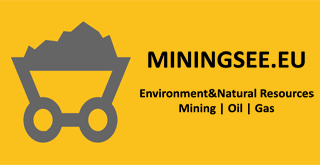 With respect to the potential sale of mining company assets within a privatisation process, there are some specifics with respect to the transfer of mining licenses that should be taken in account when contemplating the privatisation of these companies. Namely, the Serbian Law on Mining and Geological Explorations adopted in 2015 (“Mining Law”), stipulates that licences for the exploitation of mineral raw materials and geothermal resources (“Exploitation Licenses”) held by companies whose assets, used for exploitation, are to be sold in a privatisation process, may be transferred to the buyer of those assets under an agreement to be concluded by the seller and buyer of assets, as well as the relevant Serbian state bodies participating in the privatisation process (i.e. a Licence Transfer Agreement; “LTA”). The LTA must be given a prior approval of the Government of the Republic of Serbia, based on the proposal of the Serbian Ministry of Mining and Energy. If the LTA is concluded without such consent, it shall be deemed null and void. In line with the Mining Law, the LTA must have provisions addressing the investment obligations of the buyer of the assets as well as its obligations in relation to the company’s social program. The latter implies that such privatisation will carry the obligation to take over the employees of the company selling the relevant assets. Other than the aforementioned investment and social plan obligations, there are no other formal or content requirements for the LTA under the applicable legal framework. Accordingly, the content of the LTA is largely bespoke and is agreed on a case-by-case basis by the relevant state stakeholders and the seller and buyer. It should be noted that neither the Mining Law nor Privatisation Law make any mention of the transfer of exploration licences in this context. This could cause potential issues for buyers in the privatisation process, as the absence of an explicit regulation of such a transfer in the privatisation context could potentially be interpreted to mean that a transfer of exploration licences is excluded in the case of asset sale privatisations. The enforceability and full legal validity of the LTA is contingent on the enforceability and full legal force of the Asset Sale and Purchase Agreement (“Privatisation Agreement”) to be entered into by the buyer and seller pursuant to the Privatisation Law. The Privatisation Agreement, unlike the LTA, is in standardised form and must have provisions on the contracting parties, the subject of sale, contract price and terms for payment of the contract price. It may also have the following provisions relating to the amount and term of investments to be made by the buyer: obligation of carrying out business operations; limitations related to the disposal of assets by further sales or encumbrances; exclusion of termination of employment contracts for an indefinite time; obligation of regular payment of salaries to employees; performance bonds (and/or other collateral) and other provisions. In light of the above, it appears that there may be some overlap between the LTA and the Privatisation Agreement in the provisions concerning investment and social plan obligations. There does not appear to be an agreed practice as to whether such overlap could potentially be omitted by the exclusion of the provisions in question from one of the agreements. It is possible that state stakeholders would insist on the retention of the provisions in both documents, in which case it would be necessary to ensure that there are no discrepancies between such provisions.